The facile fabrication of single-walled carbon nanotubes (SWCNTs)-doping molecularly imprinted polymer (MIP) nanocomposite-based binary green porogen system, room-temperature ionic liquids (RTILs), and deep eutectic solvents (DESs) was developed for drug delivery system. With fenbufen (FB) as template molecule, 4-vinylpyridine (4-VP) was used as functional monomer, ethylene glycol dimethacrylate as cross-linking monomer, and 1-butyl-3-methylimidazoliumtetrafluoroborate and choline chloride/ethylene glycol as binary green solvent, in the presence of SWCNTs. The imprinting effect of the SWCNT–MIP composites was optimized by regulation of the amount of SWCNTs, ratio of RTILs and DES, and the composition of DES. Blue shifts of UV bands strongly suggested that interaction between 4-VP and FB can be enhanced due to SWCNT doping in the process of self-assembly. The reinforced imprinted effect of CNT-doping MIP can provide superior controlled release characteristics. Compared with the control MIP prepared without SWCNTs, the imprinting factor of the SWCNT–MIP composites exhibited a twofold increase. In the analysis for the FB release kinetics from all samples, the SWCNT-reinforced MIP produced the lowest value of drug diffusivity. 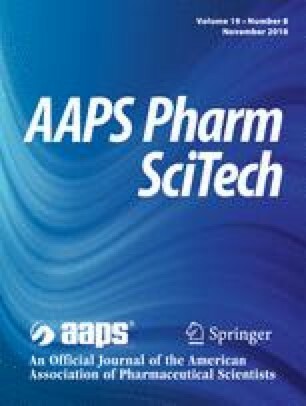 The relative bioavailability of the SWCNT–MIP composites (F %) displayed the highest value of 143.3% compared with the commercial FB tablet, whereas the control MIP and SWCNT–non-MIP composites was only 48.3% and 44.4%, respectively. The results indicated that the SWCNT–MIP nanocomposites developed here have potentials as the controlled-release device. Xin-Lu Liu and Hong-Fei Yao contributed equally to this work. The online version of this article ( https://doi.org/10.1208/s12249-018-1192-z) contains supplementary material, which is available to authorized users. Financial support from the National Natural Science Foundation of China (grant no. 21775109) and Innovation and Entrepreneurship Training Program for College Students in Jiangsu (201810316049x) is greatly acknowledged.